can you believe I didn't have a pair of pinking scissors? I stopped at Hobby Lobby and used a 40% coupon and picked a pair up. Now for my next layout using those new scissors...hopefully I can find sometime this weekend to play! I love three day weeks, but where did all my extra time go? Maybe uploading pictures to my blog?!?!?!?! 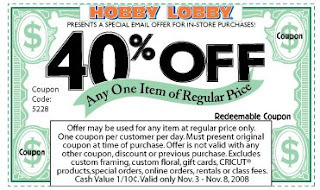 hobby lobby -Oh how I wish we had one here - can it be a week has gone by already? great blog! We don't have a hobby lobby and the nearest Joanne's is about 1 hour away. Sad, eh?